Walking around Qatar’s monumental Aspire Dome sports academy, coach Fred Engh noticed kids playing soccer on an indoor field big enough to accommodate four teams simultaneously during a break in an annual gathering of hundreds of sports leaders designed to project the Gulf state as an innovative, socially responsible global sports hub. Mr. Engh’s initial impression that the government was catering to the whole of its population, a majority of whom are poorly paid migrant workers whose restrictive labour and working conditions have become a focal point of criticism since Qatar won the hosting rights for the 2022 World Cup were however quickly dashed. “It looked great and I was happy to see that the Qatar people cared enough to allow kids to come in and play in this magnificent facility. I was wrong. Not every local kid was allowed. It was open to only those that had money,” Mr. Engh said in a recent Huffington Post column. Chatting with a group of nearby migrant workers recruited to keep Aspire Dome clean, Mr. Engh quickly discovered that neither they nor their children had access to the soccer field. In response to Mr. Engh’s question whether any of their children were among those, the workers “looked at me as if I were some kind of world-class comedian trying my best to humour them,” he wrote. Asked what facilities were available for poor kids, the workers replied: "Nowhere." Mr. Engh’s encounter with the workers happened three years ago. Qatar has since announced lofty standards for the working and living conditions of migrant workers, including the construction of seven new cities to accommodate those working on World Cup-related construction sight. It has also said that reforms of its controversial kafala or sponsorship system that puts workers at the mercy of their employers would be enshrined in law by the end of this year. For now, Qatar’s promises remain just that, promises. Credibility Qatar built in recent years by announcing the standards in for a conservative, autocratic Gulf state unprecedented collaboration with human rights and labour activists has been thoroughly wasted. Qatar’s credibility has been undermined by its failure to take meaningful steps that would have enhanced confidence even if in some instances they would have broached the existential issues underlying Qatari resistance to change or addressed material concerns. It was further jeopardized by seeming Qatari backtracking on baby steps that held out the promise of change, and its repeated detention of foreign journalists seeking to report independently and unfettered on the plight of migrant workers. At the core of Qatari resistance, is the fear of the Gulf state’s citizenry, who account for a mere 12 percent of the population, that granting foreigners any rights risks opening a Pandora’s Box that could lead to non-Qataris gaining political rights and easier access to citizenship. Similarly, many Qataris are anxious that engagement with the non-Qatari majority that could give it a stake in society would amount to acknowledging that their multi-ethnic, multi-religious demography is in fact a multicultural society in more than just a slogan – a step that would threaten to delude the Gulf state’s conservative, tribal, mono-culture. Mr. Engh put his finger on the problem but appears to have overlooked these real life issues underlying effective segregation at the Aspire Dome. His observations did however put a hole in Qatari rhetoric of the value it attributes to foreigner that are helping it build a state-of-the art infrastructure. They highlighted the fact that Qatar like other Gulf states at best views foreigners as guests obliged to leave when their professional contracts expire. Rather than adhering to universally accepted concept of a guest who is made to feel at home, Qatari policy is designed to ensure that non-Qataris do not develop ties that could persuade them to want to make Qatar their permanent home. To be fair, Qatar is not unique in this. Even traditional immigration societies like Australia appear hostile to migrants and the mood in Europe has soured as tens of thousands of refugees from conflicts in the Middle East and repressive regimes in Africa force their way onto the continent. Yet Qatar in line with all Gulf states has preferred to fund aid to the refugees rather than open its own doors. Nonetheless, Qatar two years ago appeared to be tinkering with its non-integration policy when it organized its first ever tournament for soccer teams of foreign workers in which 16 teams participated. Qatari officials at the time said they were considering a competition in which foreign worker teams would play their Qatari counterpart. The plan never materialized and the chances of foreign workers and their kids being allowed to play in the Aspire Dome are without a demonstration of political will to introduce real reform virtually zero. Qatar’s credibility was further damaged by its crude efforts in the last year to fill stadia during international matches by bussing in foreign workers who were paid to attend a match rather than given the opportunity and access that spectators would expect to have. An announcement earlier this month by California-based big data software company Sysorex that it had concluded a contract to deploy in Qatar a mobile “worker locationing and asset management platform” that would track migrant workers in their living quarters as well as in living quarters, recreation, healthcare, and retail facilities that they frequent sparked criticism from human rights and labour activists. They denounced the move despite Sysorex’s effort to project the platform as a tool that would provide “insight into how residents flow through the community, which facilities are most popular, and where improvements can be made” as well as a technology that would improve first response in cases of emergency. Former Saudi Foreign Minister Prince Saud al-Faisal once compared the bond with the U.S. to a “Muslim marriage,” or one that wasn’t necessarily monogamous. The kingdom’s recent overtures to other partners suggest the relationship is going through another reappraisal because of the landmark accord with regional rival Iran. After visiting Russia and France last month, Deputy Crown Prince Mohammed bin Salman returned home with $23 billion of aircraft and energy contracts. They have hit the rocks before, most notably in the wake of the Sept. 11, 2001, terrorist attacks mainly by Saudi citizens. Yet the U.S.-led rapprochement with Iran raises the prospect of a tectonic shift in the Middle East that the Saudis haven’t had to contend with since the 1979 Islamic Revolution in Tehran. For the Saudis, business with Russia can dilute dependence on the U.S., while for the more isolated Russians it’s all about winning friends and getting investment. Changes made to the Saudi royal court by King Salman marked a shift toward a younger generation and underscored its more assertive role as the Middle East endures one of its most violent periods. Mohammed bin Salman, 29, was elevated to deputy crown prince after taking the post of defense minister in January and leading the campaign against Houthi rebels in Yemen. In Riyadh, Saudi officials tell diplomats that they worry Iran will use the nuclear agreement to deepen its involvement in Arab affairs as sanctions are lifted and its economy and revenue expand. Former Saudi ambassador to the U.S., Bandar bin Sultan, wrote this month in a newspaper editorial that the Iran deal would “wreak havoc” on the Middle East. “Considering the unprecedented turmoil in the region, the Saudis are trying to keep all their options open,” said Fahad Nazer, a political analyst at consulting company JTG Inc. in Virginia who has worked for the Saudi embassy in Washington. Like Iran, Russian President Vladimir Putin is an ally of Syrian President Bashar al-Assad, whose opponents in a four-year civil war are backed by the Saudis. Putin’s support, though, is seen in Riyadh as wavering, said Nazer. During the deputy crown prince’s visit to St. Petersburg in June, the Public Investment Fund agreed to jointly spend $10 billion with Russia on projects involving infrastructure, agriculture, medicine and logistics. In previous years, the Saudi fund wasn’t openly pursuing foreign investment. After meeting with Putin, he flew to Paris, where 12 billion euros ($13.3 billion) in contracts were signed. They included a 3 billion-euro export finance accord between credit insurer Coface SA and the Public Investment Fund. The two countries also agreed to feasibility studies for two nuclear reactors, and Saudi Arabia agreed to buy 30 Airbus A320s and 20 Airbus A330s for 8 billion euros. “There is a more strategic direction to investing abroad now that follows wider foreign policy interests,” said John Sfakianakis, the Riyadh-based director of the Middle East at investment company Ashmore Group. Saudi Arabia has looked elsewhere before to demonstrate it’s not dependent on the U.S. After the collapse of trust following the terror attacks in which 15 of the 19 perpetrators were Saudi citizens, trade with China duly increased. The U.S., the world’s largest arms supplier, and China each accounted for about 13 percent of Saudi trade last year. In 2001, U.S. imports and exports made up 19 percent of Saudi trade versus 4 percent for China. Russia, the second-largest seller of military hardware, barely registered either year. U.S. Defense Secretary Ashton Carter met with King Salman and Prince Mohammed on July 22 in the Red Sea city of Jeddah, where he tried to reassure them that the U.S. wasn’t wavering in its security commitment. Saudi Arabia had the biggest percentage increase among the top 15 spenders on defense worldwide last year, according to the Stockholm International Peace Research Institute. Outlays rose 17 percent to $80.8 billion. That’s as the halving of oil prices from 12 months ago reduces government revenue. 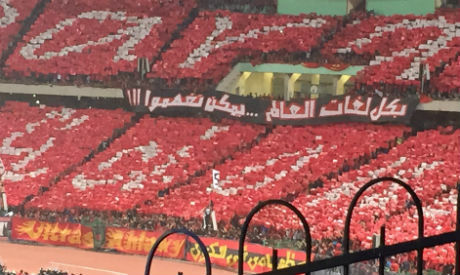 Zamalek fan group, form the core of prominent student and youth groups that have been targeted by the government of general-turned-president Abdel Fattah Al Sisi, who in 2013 toppled Egypt’s only democratically elected president, Mohammed Morsi, in a military coup. More than a thousand protesters have been killed on Mr. Al Sisi’s watch while tens of thousands have been incarcerated and thousands expelled from universities. SINGAPORE — Getting rid of the patronage system and having independent bodies that monitor the monies global sports groups collect can stop the scourge of corruption that has plagued many sports organisations, including football’s world governing body FIFA, said award-winning investigative journalist James Dorsey. These two fundamental reforms are needed, he said, for the billions of dollars governing bodies earned through channels like international television rights to benefit the sports constituencies they serve and not corrupt individuals. In May, FIFA president Sepp Blatter abruptly announced his resignation four days after securing a fifth term in office after a United States-led arrest of several FIFA officials and senior sports marketing executives in a corruption probe believed to involve more than US$100 million (S$136.5 million) spanning more than two decades. The Swiss authorities also launched an investigation into the Zurich-based FIFA’s awarding of hosting rights for the 2018 and 2022 World Cups to Russia and Qatar respectively which was shrouded by bribery allegations. There is now a movement to limit the term of the FIFA presidency, but Dorsey, currently a senior fellow at the S Rajaratnam School of International Studies (RSIS), said this is not enough. “Term limitations are fine, but there are two fundamental reforms that are sine qua non,” Dorsey, 63, told TODAY. “Without those reforms there will be no real change. The first is the eradication of the patronage system. Dorsey suggests the monies meant for distribution to NFAs should be parked with an independent institution such a board of trustees to guarantee they will be used as intended. FIFA, which made US$4.8 billion from last year’s World Cup in Brazil, may be part of the board, but it must also have other stakeholders, especially the NFAs and representatives of players, fans, sponsors as well as others not directly associated with the sport. The second reform cited by Dorsey is for sports organisations like FIFA, the International Olympic Committee (IOC) and the Asian Football Confederation (AFC) to have independent bodies that monitor them in the same way countries regulate financial institutions. “They need some form of governance. Part of the problem of global sports is that associations like FIFA, the IOC and AFC, whoever they may be, are essentially a law unto themselves. There is no reason why they should be that,” said Dorsey, a two-time Pulitzer Prize nominee. The AFC, in particular, has been in Dorsey’s sights since 2011. Three months ago he handed incriminating documents and a video to the Malay Mail that led to AFC general secretary Alex Soosay resigning over allegations that he ordered a cover-up during a 2012 PriceWaterhouseCoopers (PwC) audit of the organisation’s accounts. At that time, Dorsey had broken a story that a PwC report asserted AFC’s disgraced former president Mohammed bin Hammam had “used the AFC’s company bank accounts to facilitate personal transactions as if they were his personal bank accounts”. Bin Hammam was previously charged by FIFA in 2011 with offering bribes in his attempt to run against Blatter for control of the world body and has since been banned for life from the sport. In an interview with TODAY, Dorsey noted that almost a third of the members of the AFC 25-member board are from the Middle East, including current president Salman Khalifa of Bahrain who was elected in 2013. “They are all members of either autocratic ruling families that govern their companies or family corporations. The last two presidents are from the Middle East and they rule the AFC the way their countries are ruled,” said Dorsey. James Dorsey is an award-winning journalist who won the 2003 Dolf van den Broek prize, and has written for publications such as The Wall Street Journal and The New York Times. He is to deliver a lecture entitled “FIFA’s Crisis: The Geopolitics of Football” at the S Rajaratnam School of International Studies on Monday (July 20) at 3.30pm. A violent display of racism by extreme nationalist supporters of storied Israeli football club Beitar Jerusalem coupled with recent Ethiopian Israeli protests against discrimination and the government’s handling of the capture of two Israelis by Hamas has moved racist attitudes towards dark-skinned Jews and Israeli Palestinian up the government’s agenda. Driving calls for the banning of La Familia, the racist anti-Arab, anti-Muslim fan group of Beitar is concern about damage the group did to Israel’s image abroad rather than a worrisome trend in society at a time that Israel is anxious about the gathering momentum of calls to boycott, disinvest from and sanction the Jewish state for its policy towards the West Bank and Gaza. 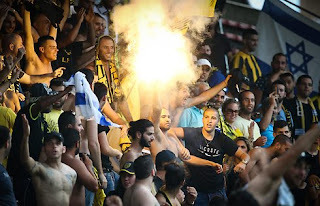 Israeli foreign ministry officials charged that an incident in Belgium in which Beitar fans waved flags of the outlawed racist Kach party founded by assassinated Rabbi Meir Kahane and threw flares and smoke guns on to the pitch as well as a missile that hit a goalkeeper during their club’s Europa League qualifier against Charleloi SC had damaged Israel’s international image. La Familia hung the Kach flags next to the Israeli flag in the stadium. The Israeli fans were welcomed in the stadium by neo-Nazi supporters of Charleroi with swastikas and Palestinian flags. Prime Minister Benjamin Netanyahu responded to the incident, saying that he had discussed possible legal action against La Familia, believed to have several thousand followers, with internal security minister Gilad Erdan. “We will not allow them to besmirch the club’s entire fan base or harm the country’s image,” Netanyahu said. In an editorial liberal newspaper Haaretz warned that “the problem is not Israel’s image in the world, but the overt racism that is fuelled by exactly those same officials who are now condemning it. Netanyahu and (culture and sports minister Miri) Regev are preaching to others what they themselves do not practice. With their racist remarks (‘The Arabs are flocking to the polling stations’), their conduct (threatening the funding of Arab cultural institutions) and their antidemocratic legislation – which is so typical of the government they head – they legitimize the phenomenon called Beitar Jerusalem,” Haaretz said. The paper was referring to Mr. Netanyahu’s fearmongering during the May election in which he warned that strong Palestinian participation threatened the outcome of the vote. Founded by the revanchist wing of the Zionist movement with strong links to the right-wing nationalist Jewish underground in pre-state Palestine, Beitar has long been a darling of the Israeli right that counted nationalist leaders, including Mr. Netanyahu, among its supporters. The only club to have consistently refused to hire a Palestinian in a country in which Palestinians ranks among its top players, Beitar has maintained its racist stance despite repeatedly being penalized by the Israel Football Association (IFA). The economy ministry’s Equal Employment Opportunity Commission, in a historic break with past IFA and government policy of only mildly chastising Beitar, summoned the club days before the Belgium incident to justify its racist hiring policies. The move came weeks after the IFA had narrowly pre-empted adoption of a resolution put forward by the Palestine Football Association (PFA) to suspend Israel’s membership in world soccer body FIFA in part because of its failure to crack down on racism in Israeli soccer. In a compromise, the PFA withdrew its demand in favour of the establishment of a FIFA committee that would monitor Israeli efforts to address Palestinian grievances. “The more deeply one looks into the reasons and motives for Beitar’s racist conduct, the more strongly the impression emerges that the problem stems from the forgiving attitude of the authorities around it – from the Israel Football Association to the league administration, all the way to ministerial level. These bodies, using various and sundry pretexts, lend a hand to the phenomenon and allow it to exist – whether by turning a blind eye to it or giving convoluted and evasive explanations,” Haaretz said. “The time has come to stop talking about image, ‘education’ or ‘processes,’ and start taking practical steps. Alongside harsh penalties for manifestations of racism, Beitar Jerusalem must be given a limited window of time during which it will be required to sign Arab players – even at the cost of a major confrontation with its fans. Instead of condemnation, the time has come to act,” the paper said. The focus on Beitar’s racism further comes on the heels of protests in recent months by Ethiopian Israelis who first demonstrated against the beating up in April by police of an Israeli soldier of Ethiopian extraction and the subsequent closing of an investigation into the incident. Similarly, Mr. Netanyahu did not visit the Ethiopian family until earlier this month and only after his hostages and missing persons coordinator, Col. (Res.) Lior Lotan, was forced to apologize for telling the family that their son's release would be delayed if they criticized the prime minister. Col. Lotan also insisted that the family refrain from connecting the government’s handling of their son’s case to the Ethiopian protests against discrimination. “I’m going to tell you this in the toughest way possible: Whoever puts on Avera the story of what’s between the Ethiopians and the State of Israel will leave him in Gaza for another year,” Col. Lotan was heard saying on tape. Mr. Mengistu was detained after he climbed over a fence to enter Gaza. Hamas said it had released him after questioning but was still holding an Israeli Bedouin who legally crossed into Gaza in April. Mr. Mengistu is still missing. Israeli media charged that the government had kept Mr. Mengistu’s disappearance secret because of his skin colour, noting that his family speaks poor Hebrew, lives in poverty, and does not have the wherewithal to stand up for their son’s rights. Some analysts argue that the government’s handling of the case of Mr. Mengistu and the Bedouin, whose name has not been released, are not unique. Families of past Hamas prisoners and soldiers missing in action who are not of Ethiopian or Arab descent said they too had been humiliated and forcibly silenced by the government during their ordeal. Nevertheless, the combustible mix of Israel’s image being on the line as a result of the violence of Beitar fans as well as Palestinian soccer efforts to force changes in Israeli policy, the protests against discrimination against dark-skinned Israelis, and the disappearance of Israeli nationals in Gaza puts Israeli racism in the spotlight. Israel cannot afford to be seen to be ignoring a dark side of its society and culture. Protests in Turkey against alleged repression of Muslim Uighurs in Xinjiang have put China’s sensitive relationships with the Muslim world to the test. The protests raise the spectre of China’s restrictive policy towards the Uighurs muddying relations with other Muslim nations as well. CHINA AND TURKEY had high hopes when Prime Minister Wen Jiabao on a 2010 visit to Ankara negotiated a strategic partnership, that envisioned Turkey helping China quell a simmering insurgency in its north-western autonomous region of Xinjiang. The deal, a year after then Turkish Prime Minister Recep Tayyip Erdogan accused China of genocide in Xinjiang, involved a halt to Turkish support for Uighur secessionist groups. It promised mutual economic benefit and Turkish leverage at both ends of the Silk Road Economic Belt that Beijing hopes to revive across the Eurasian land mass. Together with the Maritime Silk Road in what Beijing calls the “One Belt One Road” project, this comprises a network of roads, railways, ports and pipeline that China expects will link it to the Middle East and Europe via Central, Southeast and South Asia. In recognition of the fact that Uighurs historically have always looked West towards their Turkic cousins rather than East at the Han Chinese, China encouraged Turkey to invest in Xinjiang on preferential terms in the hope that greater Turkish influence would dampen nationalist sentiment in the region that has been on the rise since the 1989 Tiananmen Square protests. Chinese expectations of Turkey’s potentially moderating influence were also reflected in China’s decision to send religious students to Turkey rather than to Islamic centres of learning in the Arab world. Close relations were further highlighted by Ankara considering the acquisition of a Chinese surface-to-air missile system and Turkey becoming the first country in which a Chinese bank would operate an overseas business with the acquisition of Tekstilbank by Industrial and Commercial Bank of China, the world’s largest bank. China had hoped that by enlisting Turkey it would be able to counter US support for Uighur activists that it viewed as an effort to create problems for Beijing in its own backyard. Chinese concerns have since been heightened by the fact that an estimated 300 Chinese Muslims have joined the Islamic State (IS) in Syria whose leader, Abu Bakr Al Baghdadi, described China as one of the worst violators of Muslim rights. Those hopes now threaten to be mired in a war of words between Beijing and Ankara sparked by Uighur nationalist protests against Chinese discrimination, including a ban on fasting during Ramadan and the forced opening of restaurants during daytime fasting hours. The ban was introduced at the tail end of a failed year-long government campaign against what it termed “terrorism” and “illegal religious activity” that involved strict controls of sermons in mosques, closure of a number of Islamic schools and restrictions on traditional dress. Nationalist Turks see the ban that applies to government employees, students and teachers – a significant segment of the Uighur population -- as the latest of a series of restrictive measures aimed at weakening Uighur identity and religiosity. Chinese authorities have defined illegal religious activity among others as refusing to shake a woman’s hand; rejection of inter-ethnic marriage; boycotting government social programmes, and closing restaurants during Ramadan. Women’s headscarves and beards are viewed with suspicion. The measures have also sparked protests in Malaysia and Cairo. The 57-nation Organisation of Islamic Cooperation (OIC) expressed concern and called on Beijing to respect Uighurs’ religious rights. The Qatar-backed International Union of Muslim Scholars headed by prominent Islamic scholar Sheikh Yousef al-Qaradawi put out a similar, more strongly worded statement. Turkish passions were fuelled by sensationalist reports in pro-government media of a massacre of Uighurs while fasting and others being forced to consume alcohol. These came amid domestic Turkish politicking as Prime Minister Ahmet Davutoglu sought to forge a coalition government in the wake of last month’s parliamentary election that failed to produce an absolute majority for the ruling Justice and Democracy Party (AKP). A pro-government newspaper, catering to nationalist sentiment, published a bloodied map of Xinjiang as part of its coverage of a visit to Beijing by a delegation from the left-wing Peoples’ Democratic Party (HDP), the first pro-Kurdish party to be represented in the Turkish parliament. The newspaper said the HDP had gone ahead with the visit “despite the East Turkestan torture,” a reference to Xinjiang by its Uighur and Turkic name. In response, Chinese officials have revived accusations that Turkey is encouraging Uighur radicalism. Tong Bishan of the Chinese public security ministry's Criminal Investigation Department recently told foreign correspondents that Turkish diplomats in South-east Asia had facilitated passage of hundreds of Uighurs to Turkey from where they were being sold to IS as "cannon fodder". Tong was referring to the issuing of Turkish passports to 173 Uighur refugees in Thailand to prevent their return to China. The issue of Turkish passports has however become sensitive after the perpetrators of an attack last year at a train station in Kunming in Yunnan province in which 33 people were killed, were found to have been travelling on Turkish documents. China’s focus on external forces fuelling unrest in Xinjiang was however called into a question by a clash with police last month in the ancient city of Kashgar in which 28 people died. The clash’s background suggested that Chinese policy rather than Islamist ideology may be a core driver fuelling nationalist violence. The attackers were reportedly members of one family whose land had been confiscated and given to a Han Chinese. Impoverished, the family turned to religion, only to be tackled by authorities who forced female members to bare their hair and males to shave their beards. The government, rather than heed warnings of the impact of Chinese policies, has sought to silence its critics. Uighur scholar Ilham Tohti warned in a lengthy article published after he was arrested last year that because Chinese policies “do not address deep-seated problems, we cannot afford to be sanguine about Xinjiang’s future, nor can we be certain that violence will not erupt again”. Tohti’s warning appears to be something that China accepts as a principle to counter jihadism anywhere but in Xinjiang. In a recent debate on US-Chinese cooperation in the Middle East, Yang Jiemian, a senior fellow at Shanghai Institutes for International Studies, argued that “tackling root causes” was the key to combatting extremism but that “China has other ways” that include a “strong medicine with side effects”. It is the strong medicine that threatens to complicate China’s relations with key players in the Muslim world, as seen in the protests by the OIC and global Islamic leaders as well as in countries such as Malaysia and Egypt. On December 30, 2012, the Syrian national soccer team was received by Syrian president Bashar al-Assad in his People’s Palace, an exquisite fortress overlooking the Syrian capital from Mt. Mezzeh. The president congratulated the team for its first-time winning of the West Asian Football Federation Championship, and rewarded each player with an apartment, a job, and SYP150,000 (USD1500). Among the red-clad players who queued up to shake Assad’s hand was 31-year-old Mosab Balhous, the national team’s goalkeeper and former goalkeeper of Homs-based Al-Karamah SC. Their smiling exchange put a good face on a harsher history: 17 months earlier, on August 2, 2011, the president’s security forces had arrested Balhous on charges of sheltering armed gangs and possessing suspicious amounts of money. The goalkeeper’s home city of Homs, popularly dubbed the “Capital of the revolution”, has been under regime attack since April 2011, and its Baba Amr district has served as a refuge for army defectors. Now, with civil war devouring Syria for a fifth year, Syrian soccer seemed to be doing fine. Thanks to the Assad regime’s calculated support, three of its national teams and two local clubs have qualified for regional and international tournaments. These wins serve a distinct political purpose: a victorious soccer team burnishes Assad’s credentials as a secular leader still in control of his country, in stark contrast to the Islamic State (IS), which flogs people for wearing soccer jerseys. Today, 14 clubs play in the highest division in the country. In April 2015, Syria’s National Soccer Team jumped 26 places in the FIFA World Ranking to 126th internationally and 15th on the Asian level; in May, it rose further to 125th. The national team also made it to the second round of qualifiers for the 2018 FIFA World Cup and the 2019 Asia Cup, while the Olympic Soccer Team qualified for the finals of the 2016 AFC U-23 Asian Cup in Qatar. Syria's Junior Soccer Team has qualified for the FIFA U-17 World Cup in Chile, and Al-Jaish and Al-Wahda clubs for the advanced stages of the Asian Cup Championship. These successes have come despite international sanctions on Syria, which have resulted in FIFA freezing $2,250,000 according to the Syrian General Sports Federation (GSF) though experts believe it could be much more that was earmarked for the Syrian Football Association (SFA). The Assad regime is working to prove that this money will only go towards developing soccer and will not be used to fund political or military activities. The Baath Party, the country’s official ruling party, nonetheless, continues to control sports. GSF sources said that party appoint GSF members. Control is further exercised through the GSF’s refusal to give the SFA independent authority over its own budget. The GSF has accused the SFA of trying to form “another republic inside the GSF” on the back of FIFA’s ban on government interference. “The GSF, the government and the political leadership [the National Security Bureau of the Baath Party] do not accept that the SFA is subordinated to the FIFA. This is against [our] laws. If there are regulations from the FIFA that the SFA has to apply, it has to apply it. We do not mind that,” Jomaa said. Syrian media played up Syria’s defeat of France 2:1 despite the fact that the games cost Syria $300 million it could ill-afford in a time of economic downturn. Keeping that memory alive proved at times easier said than done. Hafez Al-Assad’s eldest son Basil, an avid equestrian who headed an annual tournament in commemoration of the soccer victory, lost a horse race in 1993 to Adnan Qassar, the leader of the Syrian equestrian team. Qassar was promptly arrested on charges of attempting to assassinate Basil and imprisoned without trial for 21 years in Tadmur prison. He was finally released in June 2014 by a presidential amnesty granted by Basil’s younger brother Bashar, who inherited the presidency in 2000 after the death of his father and the earlier passing of his brother in a car crash. Syria’s most feared informal militias, or shabiha, formed in the eighties from the ranks of Assad relatives and supporters, also kept a hand in local athletics, including soccer. Their founder, Fawaz al-Assad, was a cousin of the late president and controlled the port of Latakia with its smuggling routes. Fawaz was also a supporter of the city’s Tishreen soccer team before becoming its honorary president. Latakia soccer fans recall Fawaz coming once to the Al-Assad Stadium with a helicopter and talks with the referees before the game to ensure that his team would win the game. Bashar al-Assad carried on his elders’ tradition of using an unsporting degree of force against opponents, athletic and otherwise. In mid-March, 2004, around 40 Kurdish civilians were killed in Qamishli, northeast Syria, after riots broke out between Kurdish and Arab soccer fans. Hundreds of Kurds were injured and around 2,000 were tortured in the regime’s jails after they had demanded an investigation into the forced disappearance of Kurdish civil society activist and Sunni religious leader Sheikh Mashook al-Khaznawi. In June 2005, the Kurdish protests erupted again against alleged government's involvement in the assassination of Khaznawi. Soccer also figured prominently in government efforts to manage relations with neighboring countries in the wake of the 2005 assassination of Lebanese Prime Minister Rafik Hariri allegedly at Syria’s behest as well as with domestic critics opposed to the regime’s decision to liberalize the economy. Al-Assad more frequently attended soccer matches where fans chanted, “Oh, Bashar, raise your hand!,” a request he gladly honored. The eruption in 2011 of mass anti-government protests triggered by the arrest and torture of school-age children in Dera’a who wrote anti-government graffiti on walls set Syria on a path of civil war that significantly weakened the Assad regime and virtually destroyed the country. Mahmoud al-Jawabra, a 24-year old player for Dera’a’s Al-Shouleh SC who was among four demonstrators killed by security forces four days after the arrests became an icon of the initially peaceful protestors and the first casualty of the revolt. The Dera’a protests quickly spread to other Syrian cities, where Assad’s forces turned sports stadiums into detention centers and military bases. Damascus’ Abbasiyyin Stadium, which had hosted a holy mass by Pope John Paul II in 2001, has since been used as a military base from which the Syrian Army launches rockets into neighboring opposition-controlled districts such as Ghouta and Douma. Al-Jawabra was soon joined by other athletes who opposed the regime, including Ghazi Zoghaib, the head of Al-Karamah and former head of the Homs branch of the Baath Party; his wife in Baba Amr; Al-Karamah soccer player Ahmad Suwaidan who was killed during the military’s shelling of the Al-Karabees neighborhood of Homs; Al-Karamah and Syrian Junior Soccer Team player Abdul Rahman Al-Sabbouh killed in a massacre in Baba Amr; and Homs’ Al Wathbah SC player Youssef Suleiman, a player from the Homs-based al-Wathbah Club killed in a mortar attack near Tishreen Stadium in central Damascus; In May 2013, the photo of the body of Ahmad Othman a 14-year-old Syrian boy wearing an FC Barcelona soccer jersey, went viral on social media. Othman and his family had been killed when Assad’s forces shelled the town of al-Baydah near Banyas. The General Association for Sports and Youth in Syria (GASY) , an opposition sports organization, has documented the killing of 217 Syrian athletic personnel who have been killed in the war so far. GASY blames the Assad’s regime for those losses. Images of several athletes were found in late March and early April among leaked pictures of bodies of people tortured and killed in the regime’s jails. Among pictures circulated by activists circulated were the remains of Mohammad Abdul Rahman Zarefeh , Syria’s Judo Champion and National Team player; Iyad Quaider, an al-Wahda player; and Louay al-Omar, a former player at al-Karamah. Their pictures were among 55,000 images of 11,000 dead prisoners smuggled out by a former military police photographer who called himself Caesar. A report based on this evidence produced by three former international prosecutors and sponsored by Qatar asserted that the Syrian regime had systematically killed and tortured about 11,000 people. The regime denies responsibility and has charged that athletes had been killed by terrorist groups. It asserted, for example, that basketball player-coach Nour Aslou was killed in February as she left the Al-Assad Sports Hall in Aleppo by a terrorist sniper. Opposition forces rejected the accusation, saying that the area where Aslou was killed was more than 2 km away from opposition-controlled areas of Aleppo. By the same token, opposition forces have taken credit for the killing of athletes such as Syrian boxing champion Ghiath Tayfour who was accused of cooperating with security forces against protesters. Protest chants when the demonstrations first erupted in 2011, were often based on popular football songs composed by national youth soccer team goalkeeper Abdul Baset Al-Saroot, a leader of the revolt in Homs. Together with another player, Tarek Intabli, a left-winger at Homs’ Al-Wathbah SC, Al-Saroot was among the Homs rebels who negotiated an initial withdrawal the Syrian Army from the city. Intabli was killed in March 2015 in a rebel effort to take control of Idlib. Al-Saroot, following the killing by security forces of his four brothers and an uncle, swore allegiance to IS in late 2014. IS-affiliated Twitter accounts denounced him five months later as "a traitor to Islam" for leaving IS to join Al-Nusra Front, the Syrian branch of al Qaeda and a major opponent of IS. In February, Assad insisted that Syria is not a failed state “as long as the government and state institutions are fulfilling their duty towards the Syrian people”. By promoting its soccer achievements, the regime aims to show that Syria is a state where the army is in control and institutions are functioning. The basis of this projection is the regime’s control over central Damascus and other city centers, primarily Homs and the coastal cities of Latakia and Tartous. Projection of the regime’s strength on the pitch is focused on the performance of clubs like Al-Jaish (The Army), which is sponsored by the Defense Ministry and qualified for the quarter-finals of the 2015 AFC Asian Cup. Another regime darling, Al-Wahda, failed to qualify after it was defeated by Tajikistan’s Istiqlol football in a 4-2 penalty shootout. Al-Wahda is sponsored by Muhammad Hamsho on whom the United States has imposed sanction for allegedly fronting for Assad’s brother, Gen. Maher al-Assad in financial transactions and the acquisition of wealth through cronyism. Al-Wahda won the Premier League Championship in 2014 after defeating Al-Jaish and in July 2015 qualified for the finals of the Republic Football Cup. The performance of the two clubs despite the war highlighted the importance the regime attributes to Damascus where wealth, development, security, and mass mobilization has been concentrated in the past. The clubs’ successes failed however to mask the devastation of more than four years of war in which more than 200,000 people have been killed, more than nine million people have lost their homes, and 90% of Syrians are considered to be poor. The regime’s loss of large swaths of territory has moreover deprived it of enormous resources. Many Syrian football teams have suffered corresponding losses. Five years ago, Al-Karamah of Homs and Al-Ittihad of Aleppo represented Syria in the same Asian Cup Championship in which Damascus teams are now the sole Syrian competitors. But after the destruction of their cities, they are no longer among the top teams in the local league. Once funded by top businessmen from their own cities, they now rely on GSF sponsorship, which continues to seek access to the frozen FIFA funds. 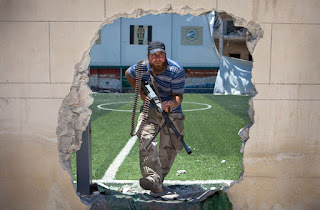 Syrian soccer players have but a few bad options: die under torture or from a sniper’s bullet, join an Islamist organization or the Syrian army, be a PR tool for the Assad regime, or flee the country. Syrian soccer players competing abroad largely chose the latter. The most recent player to do so was Mohammad Jaddoua, captain of Syria's Junior Football Team that qualified for the FIFA Under-17 World Cup in Chile. Jaddoua illegally left Syria for Germany in April 2015 in search of a better future. His departure made him an outlaw with the Syrian Football Federation banning the team’s members from travelling abroad. The participation of Syrian players in competitions hosted by Qatar, which the Syrian regime accuses of “sponsoring terrorist organizations in Syria”, has also been anathema for the regime since November of 2011, when Syria announced that it would not participate in the Arab Games in Qatar. Its boycott was in protest against the Arab League's decision to suspend Syrian membership. 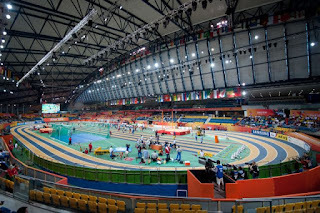 In a statement directed to international and Arab Olympic and sports committees, the Syrian Olympic Committee and the GSF said that “Syrian athletes will adhere to resistance and confronting the conspiracy against Syria,” according state-run news agency SANA. Even if Syrian players want to join their national team, many of them face extensive problems. Some have yet to fulfill their compulsory military service, while others have expressed their sympathy with the Syrian revolution; either one is enough to get them arrested whenever they land in Syria. Such treasonous expressions have guaranteed that neither Firas Al-Khatib, the former captain of Syria’s National Soccer Team and now a striker for Kuwait’s Al-Arabi Sporting Club, nor Jehad Al Hussain, a midfielder with Al-Taawoun of the Saudi Professional League, will join the national team. Both of these players from Homs condemned the massacres committed by regime forces, especially in their own city. However, the Baath Party ensured that 26 year-old striker Omar Al Soma, who plays for Saudi Arabia’s Al Ahli and is one of the kingdom’s top scorers, would be allowed to play for the Syrian national team without repercussions despite the fact that he has yet to fulfill his military service and reports that he supported the uprising. For players who want to represent the opposition in exile, a new soccer front has recently been established. Walid al-Muhaidi, head of the opposition [Free] Syrian National Football Team (FSNFT), said in May that players were training in a camp in Turkey. Muhaidi is a former SFA member who in October 2013 said he had defected with some 100 other athletes from Deir ez-Zor. His new team’s jerseys are green, the color of the revolution as opposed to the red of Syria’s national team. Meanwhile, in the Syrian capital, the game goes on, even as the façade of normalcy it is meant to represent appears increasingly hollow. In April, the month Syrians celebrate their country’s independence, Israeli fighter jets struck Syrian Army weapons caches. And though huge pictures of President Bashar al-Assad were recently installed in the Damascus stadiums of Tishreen, al-Jalaa and al-Fayhaa, they loom over mostly empty seats, since for the past four football seasons spectators have rarely been allowed audience to attend football matches. Viewers tuning in to one of the soccer league games broadcast live from Damascus and Lattakia can see that the spectacle is flagging. As the play shifts back and forth, only a handful of spectators at best look on, and the roar of the crowd has long been displaced by the sounds of bombing and gunfire intensifying just outside the frame. Soccer in Syria is a microcosm of the Syrian regime’s overall response to the protests that began in 2011. Instead of addressing the problem, the regime chose first to deny it. When that did not work, they regime used excessive force. Similarly, although the Syrian National Team was banned from the 2014 World Cup qualifiers by FIFA for fielding an ineligible player, no one has so far been held accountable for that administrative mistake, nor has anyone apologized for it. But overlooking or even encouraging corruption is nothing new in Syrian athletics. In the first decade of this millennium, the GSF faced several accusations of corruption, most of which were covered up by political interventions. In June 2009, the Syrian football league was rocked by allegations of match-fixing and institutional corruption that resulted in two of the country’s biggest clubs being temporarily expelled from the league. Backed by their connections with the security forces, the two clubs took their cases to the GSF, accusing members of the SFA of being corrupt. 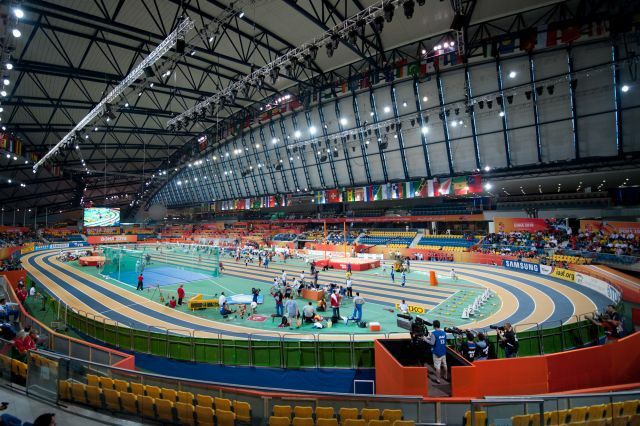 The GSF illegally commissioned the Syrian Olympic Committee to investigate into the accusations. The committee’s investigation found the accusations leveled at the SFA by the two clubs to be true, so the GSF dissolved the SFA and gave the two clubs the green light to continue playing in the first division. FIFA in turn denounced the dissolution and called for the reinstatement of the SFA. On August 12, 2009, the Ba’ath Party waded into the matter by asking five of the nine SFA board members – who are Baathists – to resign. The General Association for Sports and Youth in Syria defines itself as a ‘Syrian sports NGO that takes care of the free Syrian sports people’. By ‘free’ the organization refers to sports people who, in support of the Syrian revolution, have stopped playing under the umbrella of Assad’s government. NGO’s Facebook page: (https://www.facebook.com/Sport.Youth.In.Syria?fref=photo).